Chamber gift certificates come in denominations of $5, $10 and $25. Easy to use. Present the gift certificate to participating chamber members just like you would a check. Call 815.844.5131 or email admin@pontiacchamber.org to place your order in advance, or just stop by the office at 210 N. Plum Street in Pontiac. Chamber gift certificates are an excellent way to remember someone, whether it’s a special occasion, a thank you to a school teacher, to show your appreciation to employees, or the perfect gift for the hard-to-buy someone. Gift certificates can also be used as a donation to local interest groups rather than cash donations. Chamber gift certificates come in convenient denominations of $5, $10 and $25. You can mix and match them to fit your needs. They are redeemable at more than 225+ chamber members. Check out our www.pontiacchamber.org for the latest list of members. The certificates are easy to use as you present the merchant the chamber gift certificate just like you would a check. 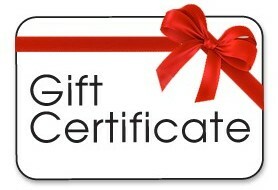 Stop by the chamber office today at 210 N. Plum St. in Pontiac to buy your gift certificates. The office is open 8:30 am – 5:00 pm, Monday – Friday. You can call your order in ahead of time at 815.844.5131 or admin@pontiacchamber.org to speed up the order process.